After a first season compromised by a Writers Guild strike, Breaking Bad's first "full" season goes deeper, darker, and through a burned pink teddy bear, indicates that something truly horrific is on the horizon. "Better Call Saul," Season Two's eighth episode is also only Breaking Bad's 15th episode. In other words, the series is still pretty young, yet the dynamics of the show are clear and composed enough for this episode to be both stylistically well executed, as well as expertly well paced. The episode begins with a scene that is wholly typical of Breaking Bad, but pretty rare for the rest of television, as it's fairly long and seemingly uneventful. Badger is sitting on a bench and is approached by a man wanting to buy drugs. Badger is initially suspicious and suspects him of being a cop, but is eventually convinced to sell. Once the exchange is made, the man reveals himself to be an undercover police officer and Badger is arrested. What makes the scene so specific to the series is the way it takes its time. There is no rush to their interaction, there is no background music, and therefore, there is no artificial suspense to the scene. It is actually funny and only when Badger is arrested does it sink in that this means big trouble for Walt and Jesse. As Badger is arrested, the camera closes in on an advertisement on the park bench for Saul Goodman's legal services -- "Better Call Saul" in big, bold letters. It not only gives the episode its title, but also sets up a relationship that would prove integral to the series up until the present. The introduction of Saul Goodman is fittingly humorous, awkward, and ultimately surprising. Part of what makes Saul such an immensely watchable character is that despite his buffoonish and seemingly incompetent behavior, he is actually incredibly savvy. He smartly uses his cartoonish and over-the-top persona to his advantage as he's continually underestimated, only to repeatedly outsmart the authorities and work the system to get his very guilty clients released. Saul's unorthodox methods are immediately apparent as he first suggests having Badger killed to mitigate the threat of him talking, then pays off a career criminal to take the fall as Heisenberg. Though Walt's first meeting with Saul is under false pretenses (he's pretending to be Badger's uncle), things quickly escalate once Saul realizes just how profitable Walt and Jesse could be for him. As Jesse says about Saul: "When the going gets tough you don't want a criminal lawyer, you want a criminal lawyer," and Saul certainly fits the bill. The ending of this episode is classic Breaking Bad. As the DEA stakes out a drug deal set up between Badger and Jimmy, the criminal posing as Heisenberg, it quickly becomes problematic as Badger has never seen Jimmy. The description that he gave the DEA, not only matches Jimmy and Walt (white, bald, average build), but also matches that of an innocent bystander who just happens to sit on the same bench as Badger. It's a perfect bookend to the opening scene as it's the same bench Badger was arrested on, as well as our first roundabout introduction to Saul. Because this is Breaking Bad, rarely do things go according to plan. Badger's inability to recognize Jimmy leads to panic on Walt and Jesse's part (who are watching the whole exchange from Walt's car). The tension builds quickly and it's obvious that without intervention, Badger will blow the whole deal. What happens next is a perfect example of Walt's ability to think on his feet and act creatively. He makes Jesse get out of the car to signal Badger to the real Jimmy, but ingeniously blocks the entire exchange by driving up to Hank's undercover vehicle and starting an inane conversation. Walt's willingness to play the clueless fool comes in handy here as buys Jesse and Badger enough time to set up Jimmy. This version of Walt, however, becomes less and less visible as the series goes on and his pride starts to get the better of him in later episodes. His reckless need to prove himself over and over leads to many close calls that could have been avoided completely had Walt not let his ego get the better of him. Here, he is still prepared to do whatever it takes to survive, regardless of how it makes him look to his alpha male brother-in-law. While seemingly insignificant, this is something that Season Three or Season Four Walt would never allow. However, Breaking Bad doesn't end on Jimmy's arrest. Instead there is a scene in which Saul has tracked Walt to his chemistry classroom. It's perhaps the most important scene of the episode as it goes a long way to set a great deal into motion, much of which would go on to play a large role in the coming seasons. Saul plants a seed in Walt's mind about being more careful and covering his tracks more completely. As Saul explains how he was able to discover Walt's real identity so quickly, Walt understands that his enemies and the DEA would have just as easy a time connecting him to Heisenberg. "4 Days Out" opens as Walter, Skyler, Walter Jr., Hank, and Marie sit in the waiting room at Walter's cancer clinic. Walter is waiting to undergo a CT scan to assess the effectiveness of his chemotherapy treatments. Marie, ever compassionate, is haranguing Walter and Skyler for not arranging to have this procedure at Kleinman, the radiology clinic where she works. In Marie's mind, her clinic is more helpful, not requiring patients to wait as long as they -- the Schraders and the Whites -- are doing at that very moment. Herself a radiology technician, Marie believes that, if given the opportunity, she could read the results of Walt's scan just as accurately as his doctor. "Doctors like people to think that they are so much smarter than the technicians. But you would be surprised how much they come to us for input," she advises. Walt, visibly uncomfortable, excuses himself and makes his way to the bathroom, where he suffers a violent coughing fit. In this opening scene, Walter's frustration with Marie emerges from the same frustration that has driven him to become the fearsome Heisenberg. All throughout Breaking Bad's early episodes, Walter suffers consistent attacks on his masculinity and on his authority. Hank steals Walter's beer at his 50th birthday party; his family stages an intervention to sabotage his plans to die on his own terms; his high school students laugh at him when they see him working at the car wash. Each of these tiny aggravations build toward the moments of intermittent fury that cause Heisenberg to burst through the meek, blank surface of Walter White's persona. In that light, it is more than fitting that Tuco issues Walter one of the only significant compliments that he receives in the entire show: "You've got balls," the gangster nervously tells the mad scientist. However, another, perhaps even more potent, tension in this scene grows out of the mystery surrounding Walter's professional credentials. At no point in the show is Walter ever addressed -- by Jesse or by anyone else -- as "Dr. White." He is always "Mr. White." This is an intriguing title for someone of Walter's expertise. 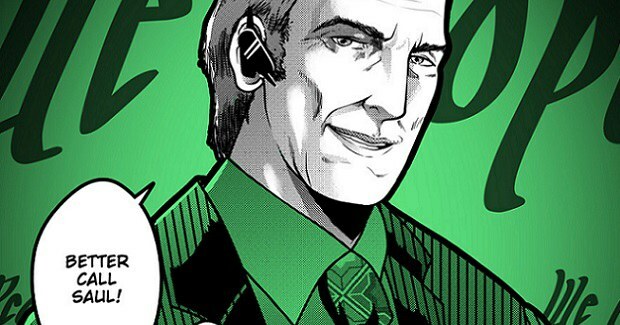 Despite having established himself as a researcher, and despite having co-founded the eventually successful Gray Matter, it is never entirely clear that Walter has a doctorate -- that he is one of those many doctors who, to quote Marie, thinks he is "so much smarter" than everyone else. As a result, Marie's comment becomes doubly insulting to Walt. On the one hand, as Walter sits in the waiting room, he is subject to medical authority, an authority that he cannot claim, even at the titular level, because, as his murky biography implies, he did not successfully complete his graduate studies like his peers Elliott and Gretchen. On the other hand, Walter clearly is smarter than everyone else -- as Heisenberg, he is outsmarting everybody in the waiting room -- but yet, like all academics, he is consistently told that he is not as smart as he thinks he is, despite the fact that he conducted Nobel Prize-winning research. The cloud of Walter's meth cooking looms thickly in this waiting room scene. Perhaps, Breaking Bad suggests, if American culture respected education both professionally and economically, Walt would not have to break the law to pay for his cancer treatments. Regardless, Mr. White gets it wrong here. On his way out of the clinic, Walter glimpses the reflection of his CT scan, and he misreads a large bright spot in his lung as his cancerous tumor (later it is revealed to be benign scar tissue). This mistake, one that would otherwise be just as harmless as that mass of tissue, causes Walter to panic. As he stares at his scan, he believes he is being provided irrefutable evidence that he is near death. Therefore, he deceitfully corrals Jesse into cooking meth for four straight days in one last effort to provide his family financial support after his demise. From this decidedly doomy beginning, "4 Days Out" takes a sharp turn, becoming a raucous comedy of errors. When Walter and Jesse finish their long drive into rural New Mexico, the two argue about where they should place the keys to their RV. 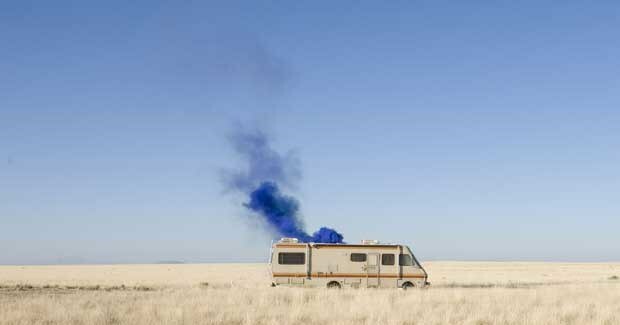 After Walter chastises Jesse for placing them on the "work station" where they will be cooking, the Captain places the keys in the RV's ignition, not realizing that doing so will cause the vehicle's battery to start running. And thus, after two quick days, the two find themselves stranded "a million miles from nowhere." To the extent that Breaking Bad accurately deploys scientific nomenclature (an extent that is likely up for debate), the series makes earnest attempts at realism. Any right thinking MacGyver viewer would have to acknowledge the implausibility of the hero's inventions. Here, though, we want to believe that Walter can fashion a battery out of spare laboratory parts, and we want to believe that this kind of scenario could actually play out in reality, that it is scientifically sound. We also, it is worth noting, want to believe in Jesse. "4 Days Out" depicts modest, but significant, growth on Jesse's part. He is clearly a more focused and disciplined cook, and his ability to puncture Walter's deceit about their journey into the wild -- "Methylamine doesn't spoil, does it?" -- suggests intellectual potential. Part of the series' suspense hinges on the audience's hope that Jesse will make full use of that potential.